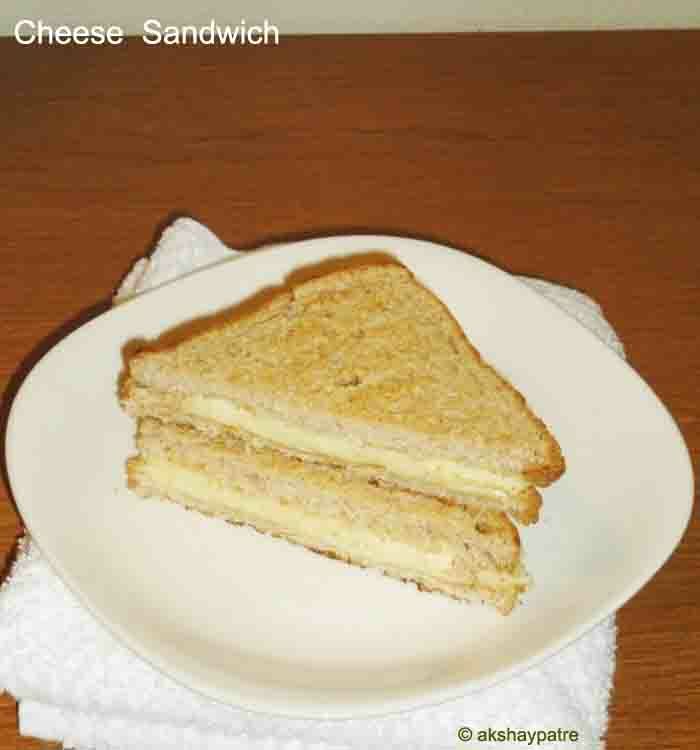 Cheese sandwich recipe with step by step photos - Cheese sandwich is one of the easiest sandwiches which can be prepared very quickly. This sandwich is made with bread slices and mozzarella cheese slices. Mozzarella cheese melts quickly, so it can be prepared in a jiffy. When the bread and cheese are shop bought and you don't even need to make much of an effort. Bachelors who love to cook with less ingredients can try this sandwich as a breakfast snack in the morning or they can carry on the go while travelling. This is also a kids friendly snack which can be served in the morning or after school. It can also be packed in their snack box. Just toast the bread on a pan with butter, place the slices of cheese on it. Though I have used only two cheese slices on each bread slice, you can use more or less cheese slices and even grated cheddar cheese goes well with it. 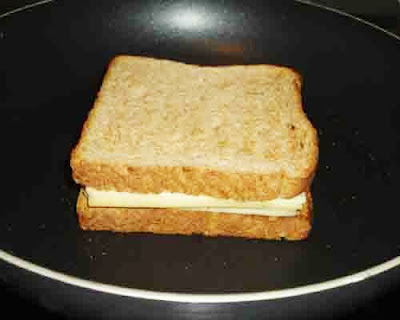 Toast the bread slices on low flame till the cheese melts and delicious sandwiches are ready to be served. Note that toast the bread on low flame to prevent the bread from burning and turning dark brown as breads get burnt easily. If you like some spicy taste, you can sprinkle some pepper powder on the cheese slices before it melts. During the melting process of the cheese side by side you can prepare hot tea or coffee which is a good accompaniment to it. This is a unique sandwich with crisp outer part and soft inner layer. Kids who are poor eaters and choosy can be served such sandwiches to get rid of their tantrum on food. 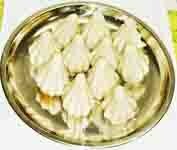 You may even include this in small birthday parties as snack along with other special dishes. This sandwich even goes well with tomato ketchup and dipping sauce like mint coriander chutney. If someone wants to have it with sweet taste, a spoonful of jam can be layered on the bread slices. Home made bread is always better than shop bought. But for your convenience always try to buy whole wheat bread slices which is not only tasty but also healthy. If you like to make bread at home check the whole wheat bread recipe which I had posted earlier. White sauce sandwich and jam sandwich equally tastes great and these are popular among all age people. 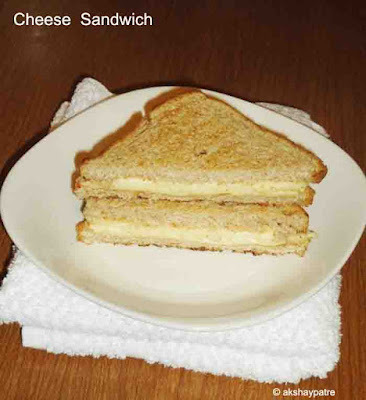 Cheese sandwich is an easy to prepare snack made by using bread and mozzarella cheese slices. This is an excellent breakfast and evening tea time snack. Place a non-stick pan or tawa on a low heat. Place the bread slices on the melted butter and toast till the bread slices turn crisp. Flip and place two cheese slices on each bread slices. If you like you can sprinkle pepper powder on it at this stage. Then cover one bread and cheese slices on another bread and cheese slices to make cheese sandwich. 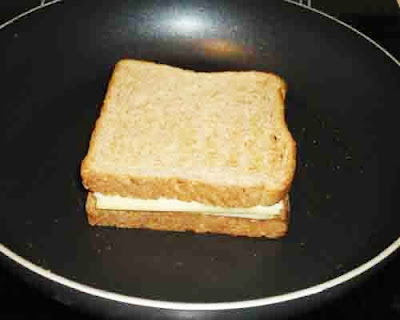 Toast on low flame till crisp from both sides by flipping the cheese sandwich. Once the cheese starts melting, stop flipping and toast on low flame till the cheese melts completely. Transfer the sandwich to a plate. Halve the Cheese sandwich in triangle shape and serve. 1. Place a non-stick pan or tawa on a low heat. Add butter and allow it to melt. 2. Place the bread slices on the melted butter and toast till the bread slices turn crisp. 3. 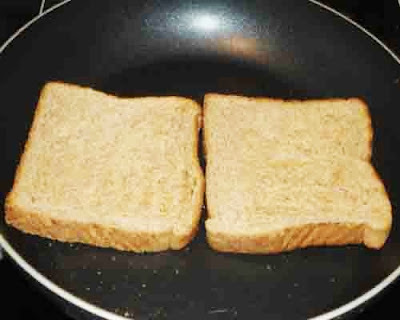 Flip and place two cheese slices on each bread slices. If you like you can sprinkle pepper powder on it at this stage. 4. 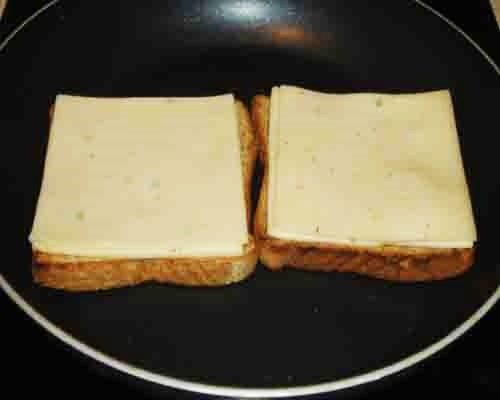 Then cover one bread and cheese slices with another bread cheese slices to make a sandwich. 5. Toast till crisp from both sides by flipping the cheese sandwich. 6. 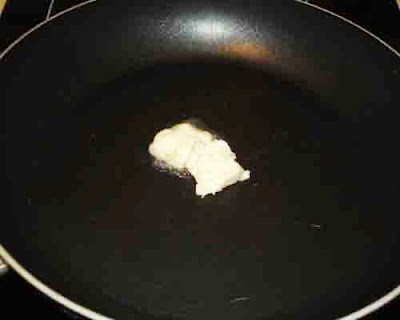 Once the cheese starts melting, stop flipping and toast on low flame till the cheese melts completely. 7. Transfer the sandwich to a plate. 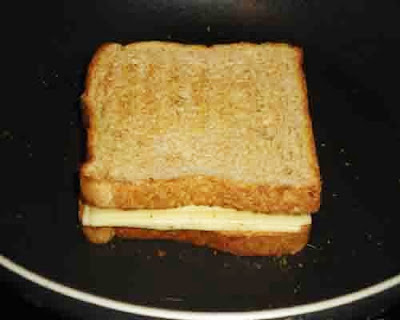 Halve the cheese sandwich in triangle shape and serve.